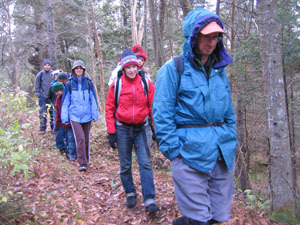 14 folks trekked on the newly rebuilt Mallory Brook Trail in East Montpelier. We especially appreciated the lovely bridge across the brook. Many of our smaller companions were tempted to splash in the water, but the chilly air made that a bad idea. We'll have to come back in the summer for a watery adventure. 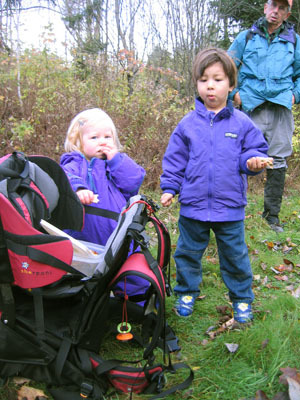 After a lovely wander through the woods, we stopped for well-earned snacks before heading back to our cars.